Edited by Kodoku no Uta, 30 November 2016 - 01:46 AM. I've been working on this slowly, because I wanted to experiment with it as much as I could and gather pretty much all of the information I could get from the process. It isn't perfect, and is definitely far from complete, but I'm enjoying working on this despite the frustrations I come across. Rather than having projects, I tend to just draw randomly and the results are usually at the mercy of chance. I wanted to actually work on something long term and build, layer and actually experiment with different techniques. 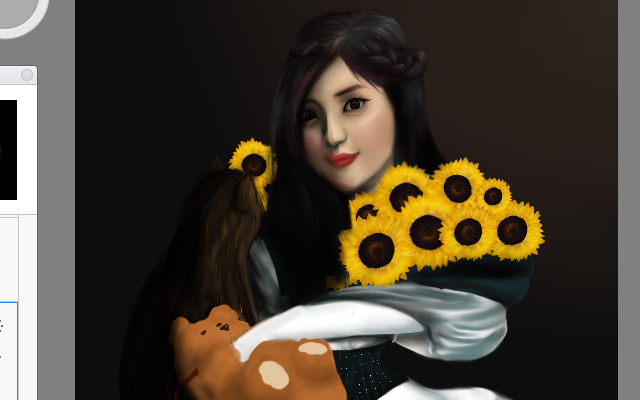 The piece is largely inspired by Renaissance/Baroque art. I saw a painting of a woman receiving bread for her children, and fell in love with it. I immediately created the thumbnail for Kanon, including Bii-chan and Chaa-chan (and hopefully her father and sister). I was pretty satisfied with the thumbnail since it was exactly what I imagined. Now, what always breaks me about thumbnails is that we create them with no real reference and no real limitations since they are a preview and have no obligation in terms of proportions or scheme since they are in fact simply an idea. When transferring to sketch, I found myself in quite a pickle. In the past I have drawn Kanon is nearly every style at virtually every angle, but the position of her head, didn't seem to fit her character or... truthfully my skill set. I did the sketch at least 6 times, until finally settling and tilting her head at a different angle, which is why you may notice a crease in the first image. The issue wasn't getting the angle right, it was getting her features right at this angle. 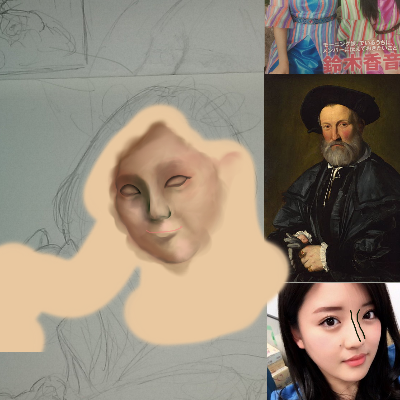 While I got really close a few times, I found an issue with her nose (I just suddenly remembered the perfect reference picture, but oh well), the shape of her nose is block-ish and the bridge has somewhat of a soft, subtle curve. The shape of her nose is one of the biggest reasons I am attracted to her. After altering her stance, I was met with another decision; paint or digital? I have little to no experience in both aspects. 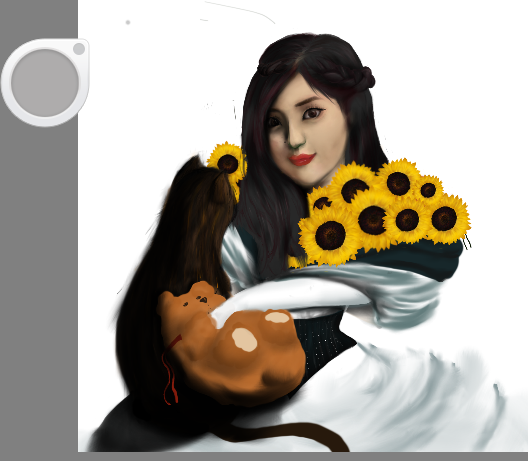 My digital art free hand is sloppy and ugly and I couldn't even paint if van Eyck himself held my hand through it. I weighed my options. The materials for painting would be both expensive and messy, and if I tried to create a painting, chances are I would ruin it, versus digital where I could start over. Though... with digital the risk of corruption always exists. I decided that I would rather take the risk of corruption, and just send this file over to a few friends, hoping they could hold it in case anything happened in the saving process. 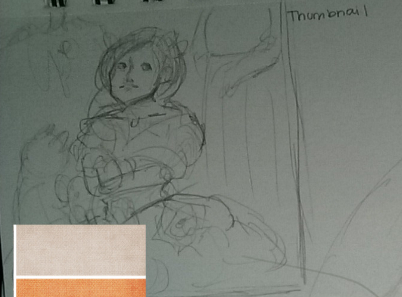 That peak of color below the thumbnail is a color palette that I got from a site that focuses on renaissance art. I wanted some colors that would compliment Kanon's image. The sienna and ultramarine were perfect to rest on her skin tone, though I ended up using a forest green as shadows to her face. While her skin is somewhat olive, there is a beautiful underlying tint of magenta around her eyes and creases. 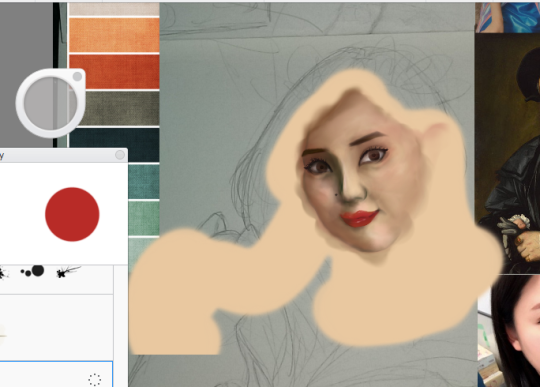 The image used for reference below provided a guide for her nose, but also a great palette to take color from. Another issue I tend to have is laying on layers far too heavy. I generally end up with art that simply has 1-2 layers, which is just terrible for the style I practice. In this piece I progressed from layer to layer, with soft colors that ultimately lead to an image that is slowly solidifying. While it is new for me (an my impatience is killing me) the image is much more organic, and flowing. 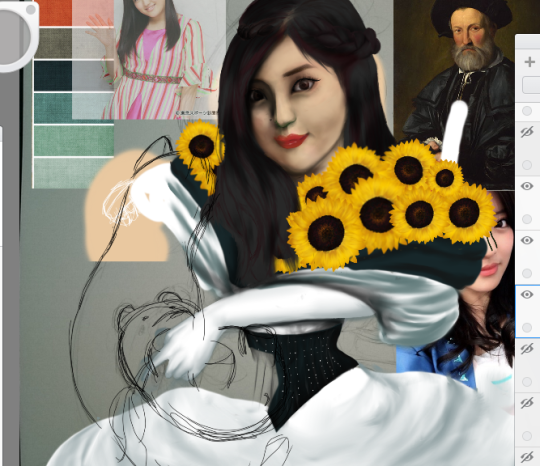 And that is where I am with this piece lol. Edited by Kodoku no Uta, 30 November 2016 - 12:53 AM. The Renaissance piece sounds super interestig. Keep up the good work. Her features are finally coming to life. Of course there is still a bunch of work left to do, but so far I am extremely happy with the outcome. This part was actually pretty interesting. A while back I indulged in a few water color speed painting, and a few were portraits. For the life of me, I couldn't figure out how they managed to feel/flesh out the features and their placement. 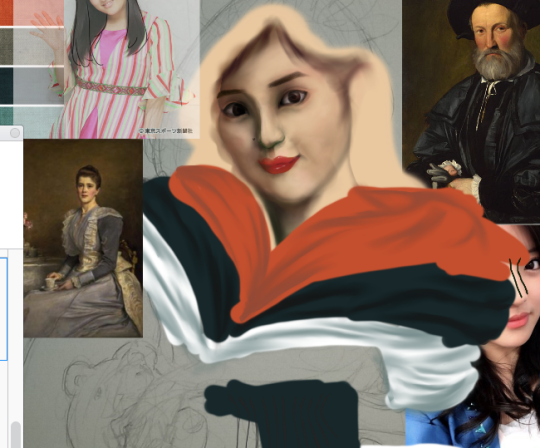 I realized that pretty much no one included how they did it, and as I tried layering for the first time, I realized why. It is entirely spacial. It feels as if there is no rhyme or reason to it, but a diagram in your mind that already maps out where every feature will go. I obviously haven't mastered it yet, but it was interesting to try it out. While I was painting a few groups of people looked in on my art, While most was amazed, I got the usual "my ______ draws even better than this," which is a bummer, but I still feel happy anyone would want to watch. 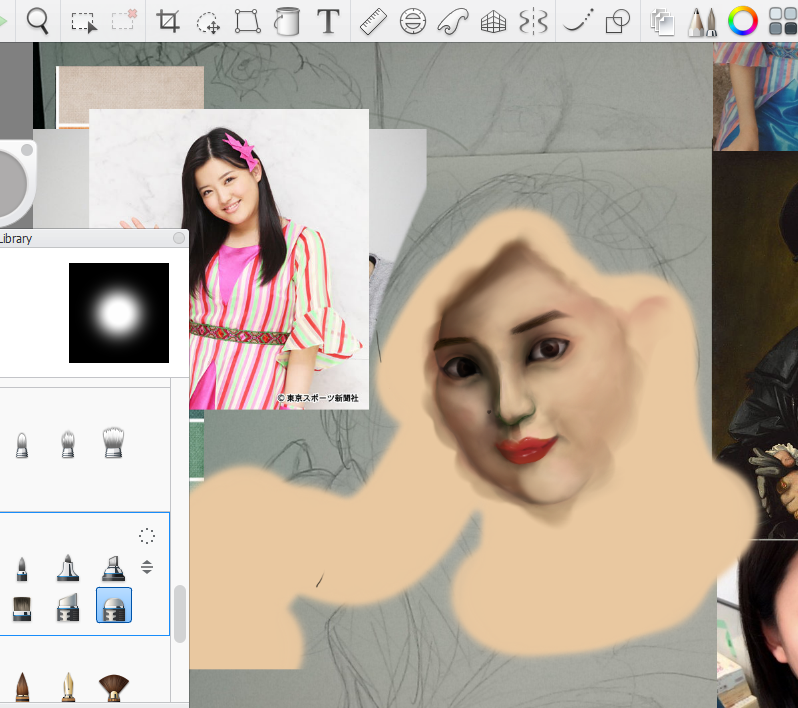 5.27: Finally got a good reference for her nose, but my laptop charger has gone to mush. Oh well. Aaaaand here comes the pressure! Zukki graduates in less than two days and I am still stuck on the face! At this point I am coming to terms with the fact that it won't look exactly like her and moving on to other areas to revisit at the end. For the past few weeks I have been working on this here and there with about 30 minute sessions, so the final stretch is going to be a huge leap. I have a bone to pick with her jaw, but we’re trucking along. I’m getting pretty close to scrapping her, but idk at this point. The cloth is giving me a bit of hope, so hopefully that can get me through the rest of the process. I still need to go back in for more detailing, but I am pretty happy with the cloth folds. I definitely won’t make it in time for this, especially considering her face. Here it is! The ridiculous dress! Once I get to color correction, everything blue on the dress will be forest green. The process has gone well so far, I think. Ladies and gentlemen we are approaching the finish line! I decided on a simple background and I will probably be kicking the animals out but here she is! I started this project to get a real grasp of digital art, and I feel like I have achieved that goal! 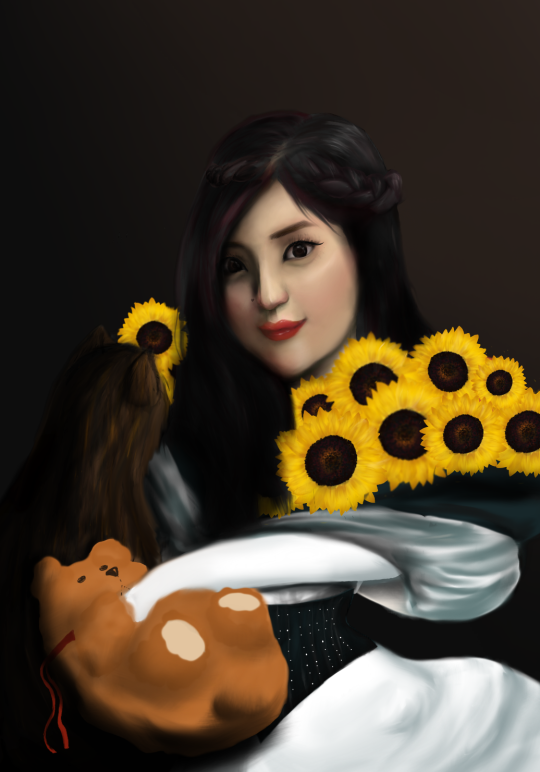 I am happy with the result and I am excited to finish this soon! Edited by Kodoku no Uta, 23 October 2016 - 02:21 PM. Nice to see that you can fulfill your goal! And also, dude. Especially that hair is awesome. It's very beautiful, Gale! I love the progression shot too, and the hair is really very nice. Good work! Thank you so much, showraniy!!! ;A; I appreciate the support guys! !